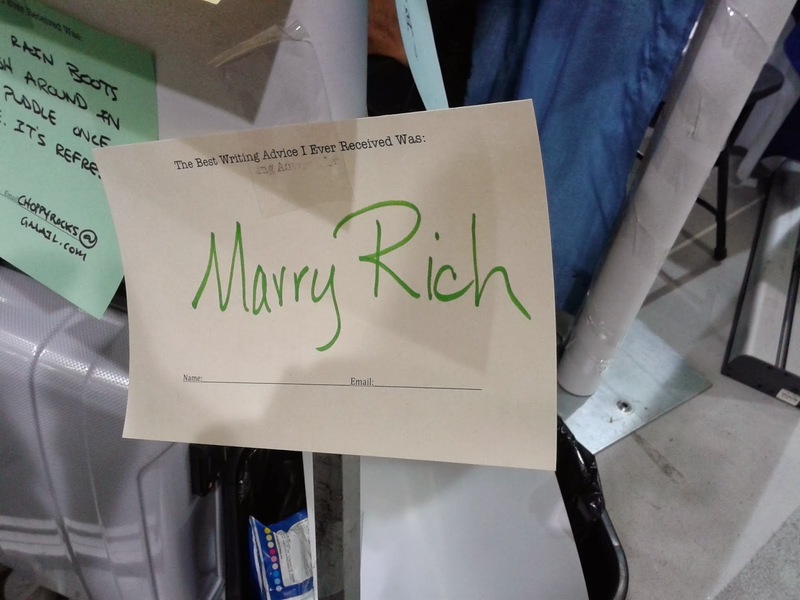 As you dear readers know, I was at the AWP conference last Thursday and Saturday. Here is the short assessment: Don’t pay when you don’t have to. AWP, this year, was able to offer free admission to the bookfair. I’m not sure they advertised the fact that at the book fair were three stages and there were at least 3-5 lectures at each stage on Saturday. This means that they were FREE. The only portions of AWP that required the pass (and the money to purchase the pass), were most of the other panels/discussions/readings, Thursday and Friday, and the receptions/parties at night. I only attended 2/3 days, didn’t go to any of the receptions/parties, and didn’t think much of the panels. There was also a free networking with visiting authors event hosted outside of AWP by several groups at the Sorrento Hotel on Thursday, which I did attend. Just going to Seattle was a treat in and of itself and Saturday was no exception. Traffic was easier. Parking was easier. Pike Place Market was open. Next time AWP rolls around, I suggest saving the $200 and just spending the day in Seattle and checking out the book fair. 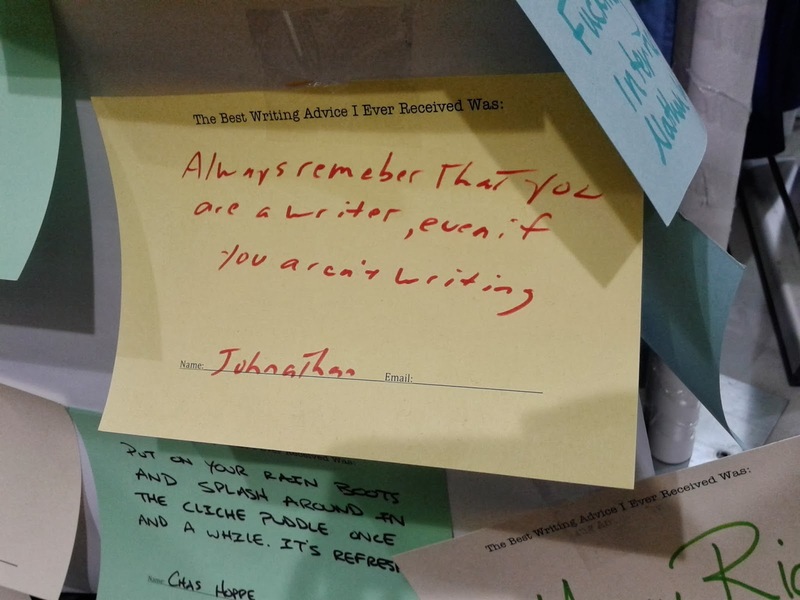 Pictured above are two pieces of excellent writing advice written by AWP event goers, hosted at a Writing Advice booth at the book fair. These two were my favorites. It would most likely depend on the usefulness of the course itself, not just “creative writing” or “film studies.” Does either have a focus for the class or are they just a general course? I’m just commenting to make you be aware of of the terrific encounter our child found viewing your site. She picked up plenty of details, which included what it’s like to have a wonderful giving mindset to let other people clearly grasp specific advanced topics. You really surpassed people’s desires. I appreciate you for delivering these beneficial, safe, edifying not to mention cool tips on the topic to Gloria.